Lucy: What do you think the odds are that you and I will get married someday? Schroeder: Oh! I’d say about "googol" to one. Lucy: How much is a "googol" ? 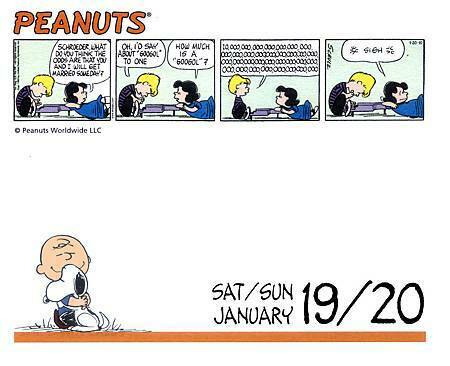 Lucy: You can stop worrying, Schroeder. I’m not going to talk to you any more about marriage. one musician in the family is enough! 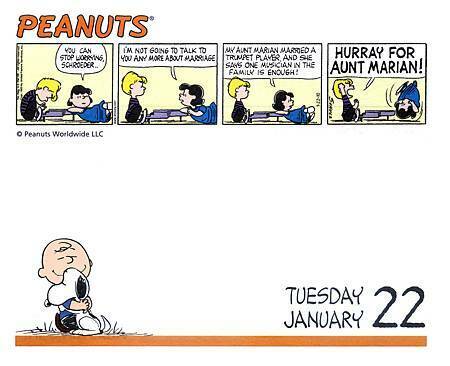 Schroeder: Hurray for Aunt Marian!